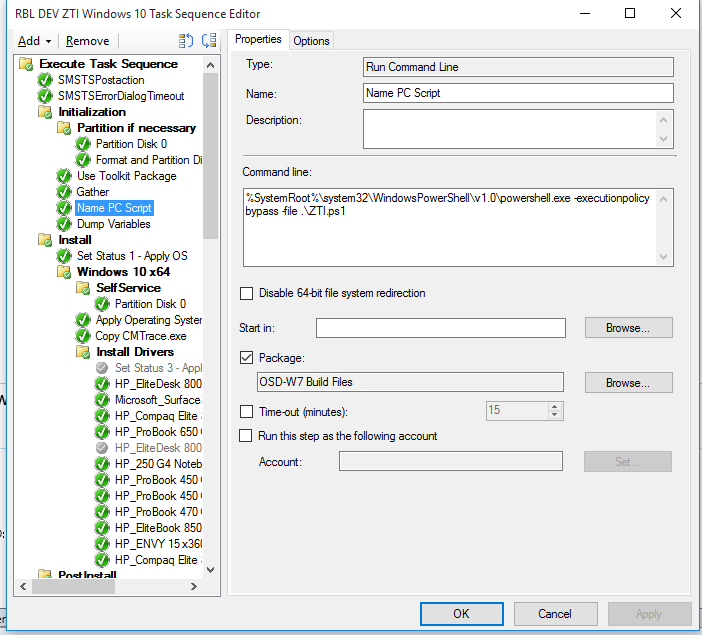 I always use a HTA (UI++) for my SCCM Task Sequences to fill a lot of variables at the start of the sequence, however i was recently asked to make a Zero Touch (ZTI) build for Windows 10 for a specific department. This is a pretty simple request however the main hurdle was dynamically setting part of the computer name as we use Location-Serial. In this case im lucky as the Location is fixed, its just the serial i need to worry about. All you need to do now is add this PS1 to your scripts folder, and create a step at the start of your Task Sequence.